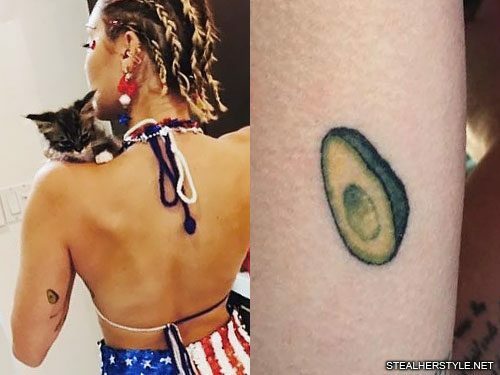 Miley Cyrus got a tattoo of jar of Vegemite on the back of her left arm in July 2016. 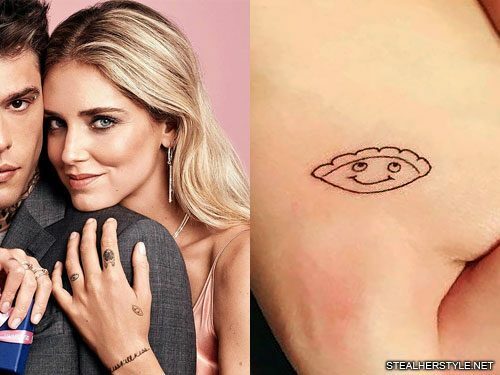 The tattoo is a tribute to her long-time boyfriend/fiance Liam Hemsworth, who is Australian. 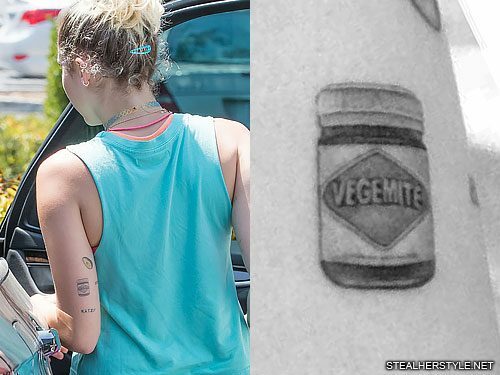 Vegemite is yeast-based food spread which is popular in Australia — and generally hated everywhere else! 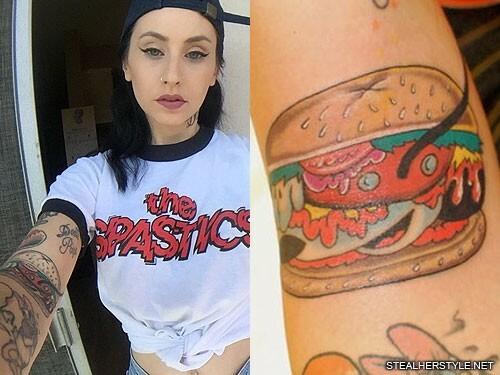 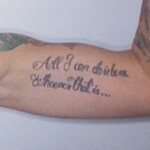 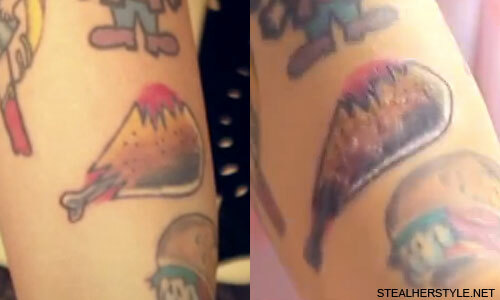 On the inside of her Kreayshawn’s forearm is an orange creamsicle with a bite out of it. 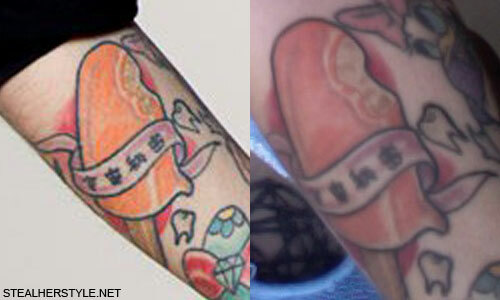 There is a pink banner across it with what appear to be Japanese characters. 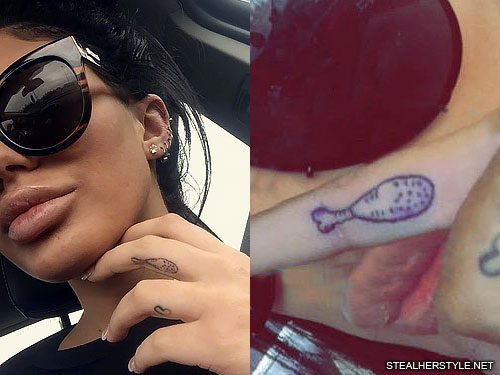 Next to it are two teeth. 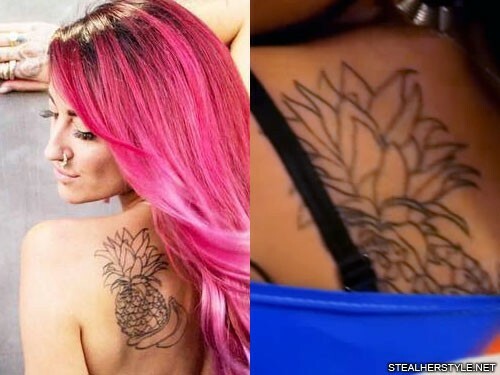 Neon Hitch has a tattoo on the left side of her back of a pineapple and bananas. 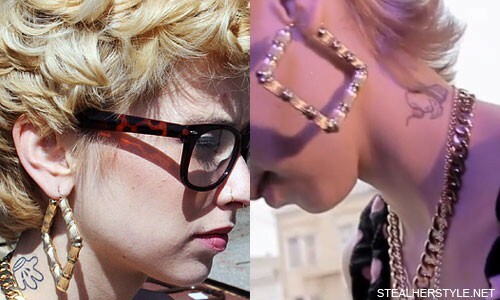 She likes to wear headdresses with fruit in them. 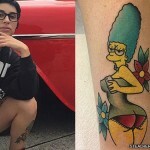 She had the outline done by Stephen Valdez at Through Your Skin Tattoo in July 2016. 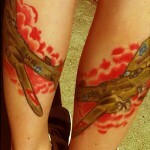 We assume she’ll have it colored in at a later date, but we’ll have to wait and see! 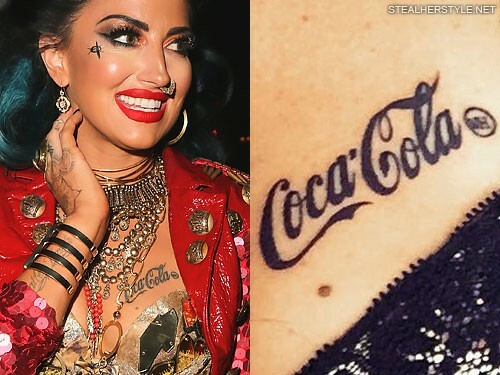 Neon Hitch got a tattoo of the iconic Cola-Cola logo on the left side of chest in June 2016 at Through Your Skin Tattoo in Los Angeles, CA.